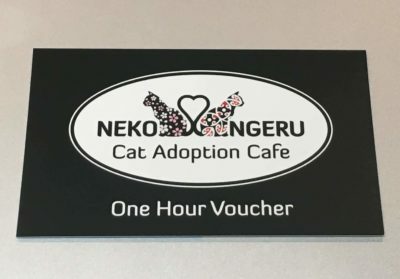 The months keep getting harder at Neko Ngeru Cat Adoption Café. 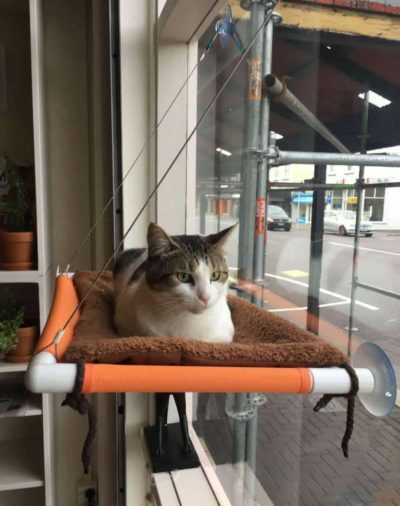 There have been very few customers and the café cats keep getting sick. 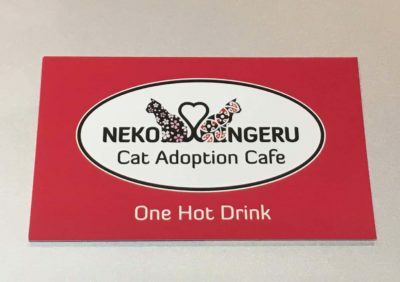 They even had to close the café for a few days to let the cats recover. I try to keep up Ken and Richelle’s spirits by getting them to play with me as much as possible and reminding them that sleeping, eating and bathing are the most important things for maintaining good health. They are staying positive. There will be some new cleaning protocols to try to protect the cats’ health. Customers will notice the shoe cleaning station beside the hand sanitiser. Even if we cats never meet another sick cat, the humans who care for them can carry their illnesses to us if they are not careful. The other changes involve sanitising litter boxes and feeding bowls. They are even making me wait until they wash their hands at home before they pet me! I try to be understanding. Chiu had to go back to Feral Nation since he was so stressed out at the cafe. As soon as he was put in the isolation cage in the office, he became very affectionate. He clearly will be good in a quiet home with fewer cats, but I heard he likes dogs. 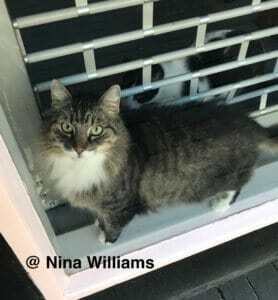 If you or someone you know could provide this for him, please contact us or Feral Nation. To try to bring in more customers, they are doing a few things. There’s a 10% off sale on all merchandise starting Tuesday the 4th. Fathers will get a special discount on the weekend of September 2nd. All they need to do is bring their children or show a picture of themselves with their cat. Lunch with cats is also back: food and drink purchases over $10 per person with a half-hour entry each gets an extra half-hour entry free between 11am and 1pm. 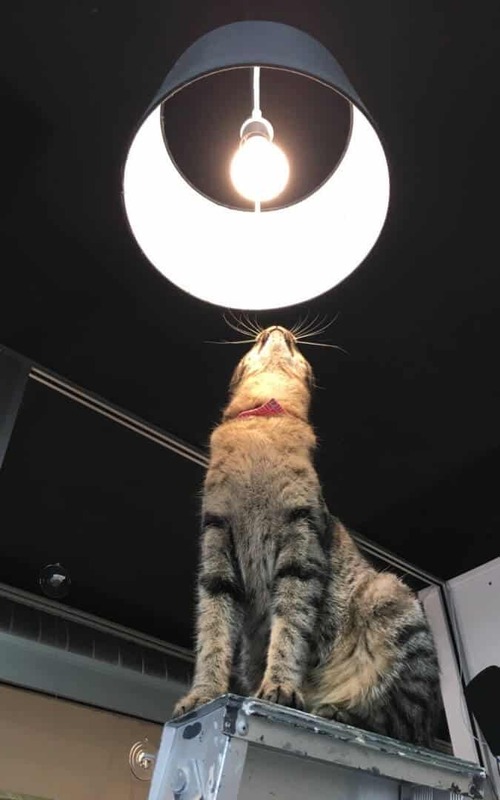 Yoga with cats has two times: Thursday afternoons 3:15-4:30 and Tuesday evening from 6-7:30. Cat Assisted Massage is fortnightly on Thursdays from noon to 4. And Cat Bingo is Wednesday the 12 of September and every month. Check the events page of Facebook or of our website. On a very happy note, SweetyPie found her people and they took her home. She settled in well with their care. 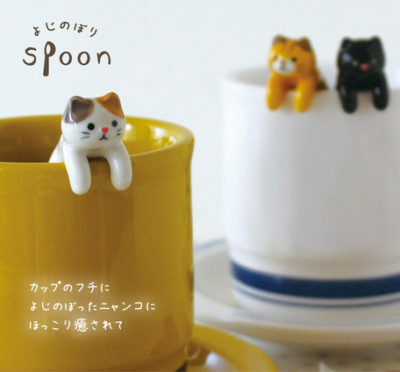 More cats will become available soon. 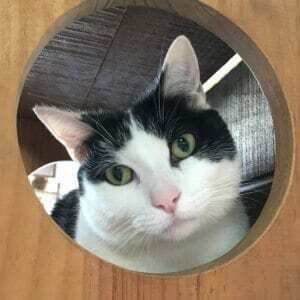 Once they are well and we have replacement cats, Harry, Spot and Sydney will be able to go to new homes. We put in new climbing furniture so there are now places to do kitty parkour all around the room without touching the ground! The cafe cats have been lonely and now that they’ve recovered, we hope you can come and play with them a lot.